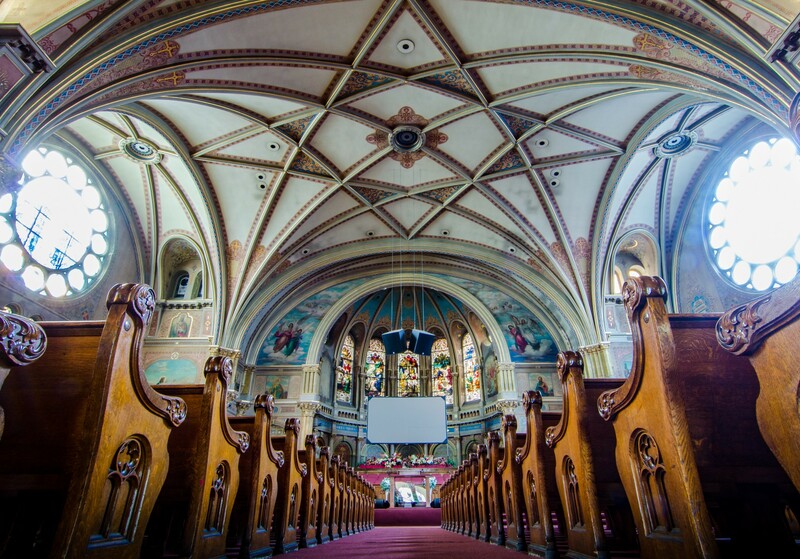 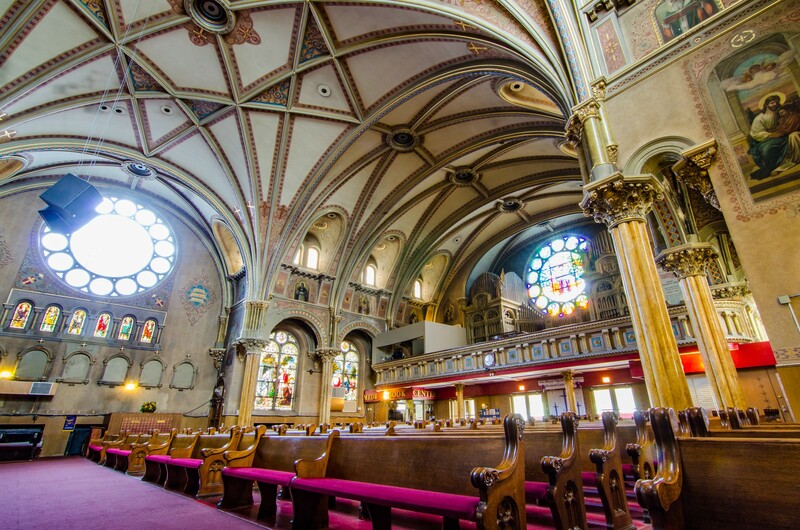 The solid limestone edifice of St. Mel’s was once a thriving Irish Catholic parish. 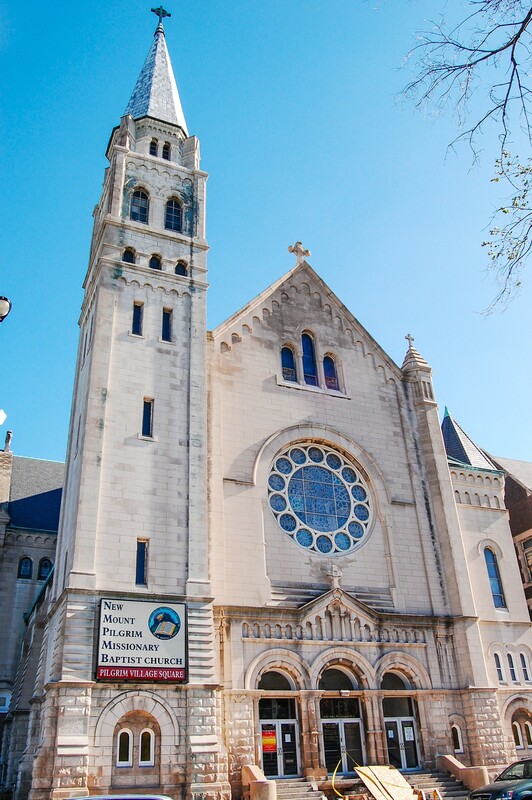 It was purchased in 1993 by the New Mount Pilgrim Missionary Baptist Church, a growing congregation with a long history in the area. 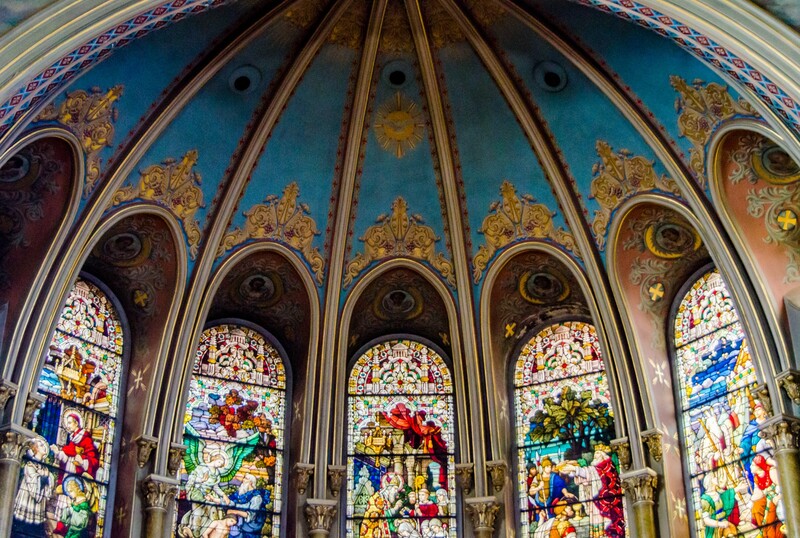 Very aware of the building’s past, they have carefully updated the sanctuary while maintaining much of the intricate plaster and painted decoration. 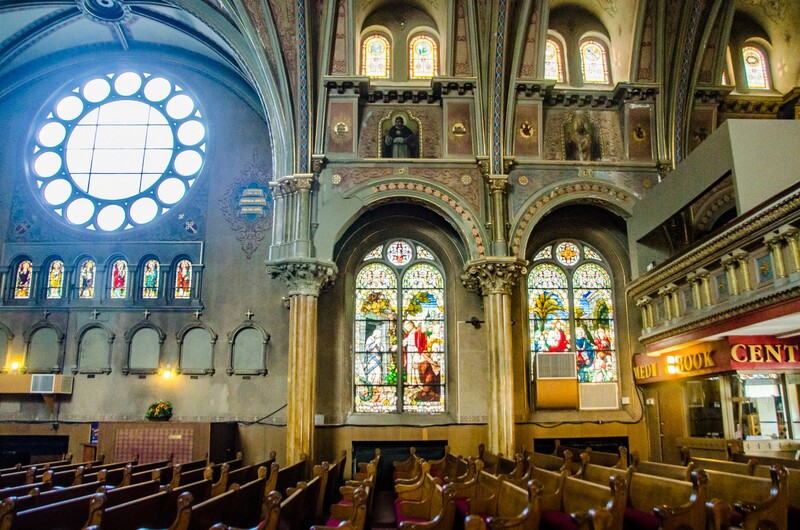 The Archdiocese of Chicago removed the large stained-glass rose windows, creating an opportunity for the new owners to put a stamp on the building. 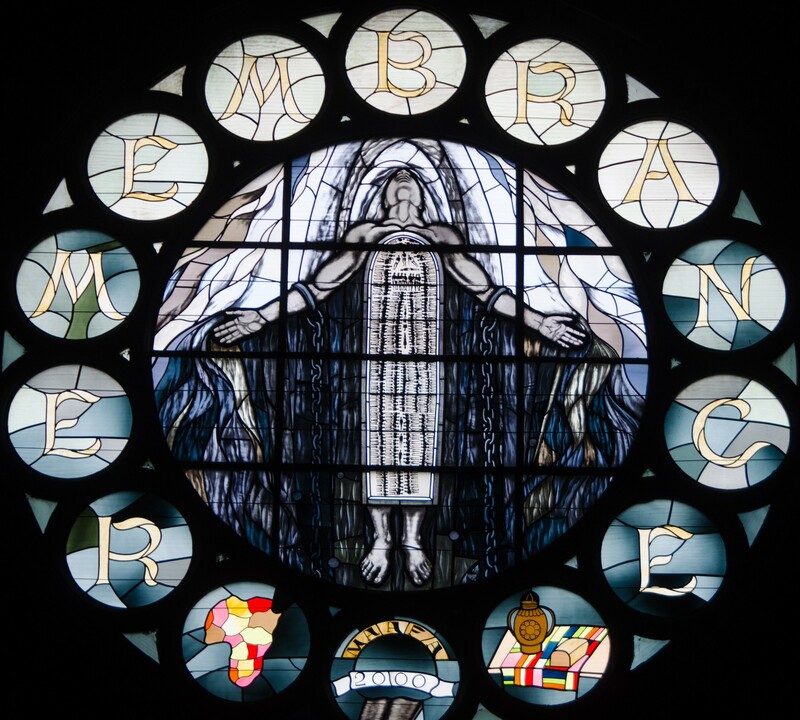 In 2001, the Maafa Remembrance window was installed—Maafa is Swahili for "unspeakable horror." 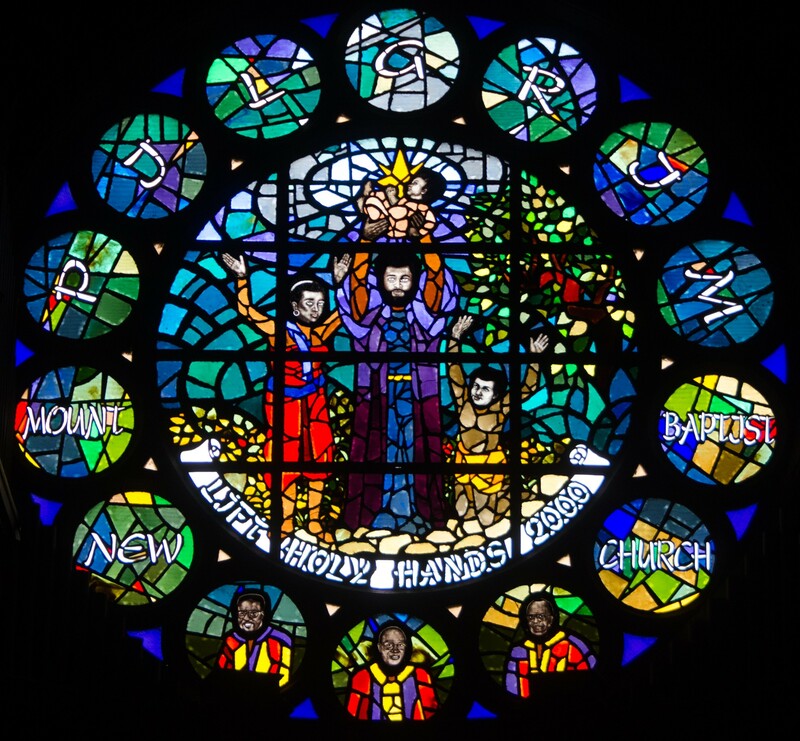 The window provides a powerful graphic reminder of the slave trade’s imprint on this African-American church and the surrounding community.